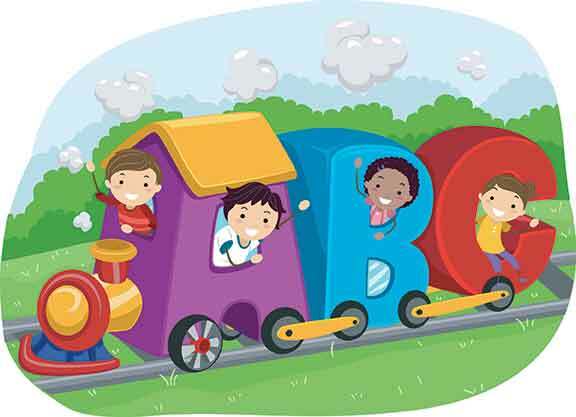 A is for Alphabet, a kindergartener’s introduction to the English language. B for Beginning, because that’s what you’re told this is. C for Chalk, the creator of scribbles that befuddle young minds. D for Dictation, because you need to outdo Microsoft spell check. E for “Essential Education”, the way to keep you occupied till you’re old enough for ‘life’. F for Fact, F for fiction – memorize the former, save the latter only for essays. G for Genius – not you – it’s the kid who sleeps through lessons, has secret tuitions and tops the class. H for Homework, because 8 hours a day is not enough learning. I for Inquisitive, the teacher’s definition of her least favourite student. J for Jokes, a subject every student would pass with flying colours, if only there were an exam for it. K is for Kool, ‘kause korrect spelling is kliche. L is for “Listen” – an instruction most children are engulfed by. M is for Magic – fast disappearing from within most classrooms. N is for Nature: not a subject at school. O for Outstanding – what every teacher says you have to be. Who stands out, if everyone’s outstanding? P for Parents, whom every child is secretly or admittedly trying to please. Q is for Questions: Why must I go to school? Can I drop math and study art instead? R is for Rote: Read, remember, and regurgitate. S for Silence. The most desirable trait in a “good student”. Teachers, however, may chatter away. T for Technology: Tamagotchi, television, and now tablets (not the ones you swallow). U for Understand. Who cares if you don’t? V for Volume. Teacher gets full marks for sound, notes, and irrelevant matter. W for Wonder: A luxury you have little time for. X for Xylophone. Remember the word you memorized in kindergarten? Ever seen one, or played one? Y for Yearning, replaced by yawning and yapping while the thirst for knowledge remains unsatiated. Z for Zip Zap Zoom as you navigate the maze of education. 12 years invested and you are none the wiser. The author is a mass media graduate who believes in the power of words. A stubborn idealist, she dreams of the day when schools will actually equip young minds to deal with the ‘real world’. She can be reached at mihika.mirchandani@gmail.com.